Don't want to fight all the skiers or the beach bums during spring break? Join us for a Naturally Fun time right here in Arlington! Spring Break Camps are offered March 15 - 19 at Elzie Odom, Dottie Lynn, Cliff Nelson and Hugh Smith recreation centers. Every day will be packed with fun! We will have Full Day Camps, Mini Camps and an X-treme Teen Camp. All campers will enjoy new and exciting activities each day and teen campers will get the opportunity to go on field trips. Just bring a sack lunch to join the fun and we will provide a snack for your afternoon treat. Pre-registration is required and space is limited. Registration can be done online at naturallyfun.org or by calling 817-459-5474. Keep up to date by becoming a fan of our Parks and Recreation Facebook page. We've put together a fun new way to have something special happen in a park near you. Vote for your favorite park on our Facebook page and the winning park will get a Naturally Fun Neighborhood event. The party will be complete with food, bounce houses, music, games and of course the event wouldn't be complete without a visit from Buddy Blue! Go to our Facebook page, become a fan and then with a few more clicks you will be ready to vote. Look at the top and click the tab that says poll; a list of 20 parks will pop up on the page. Pick your favorite park, the one closest to you or the one you think deserves to win. You can only vote once so the more people you get to vote the better the chance of your park winning. On March 22, there will be a second round of voting. The top five parks will be in a run-off through April 2. So, make sure you come back and vote in the run-off! Currently Fish Creek Neighborhood Park is in the lead, followed closely by Veterans, FJ Red Kane and Stovall parks. Make your vote count, visit our Facebook page today. Questions about the contest? Call 817-459-6931. Looking for a Naturally Fun way to be active? Want to get out and explore Arlington's parks and libraries? Pick up a Passport Arlington today and start your adventure tomorrow! The passport program started in 2009 as a way to encourage citizens to explore Arlington parks, recreation facilities and libraries. When passport owners visit city sites, they collect stamps that can be redeemed for prizes. Stamps can also be received for attending special events and participating in local activities. In addition to earning prizes, each passport owner is eligible for up to six opportunities for a 10% discount on programs and services provided by Arlington Parks and Recreation. The discounts can be used for items such as golf rounds, summer camps, athletics, swim lessons, dining at Ventana Grille and more. Passports are available at the Parks Administration Building and at all recreation centers and libraries. Each passport is $10 and comes with a clear protector case and lanyard. So what are you waiting for? Start your adventure with Passport Arlington today and get out, get active and get stamped! 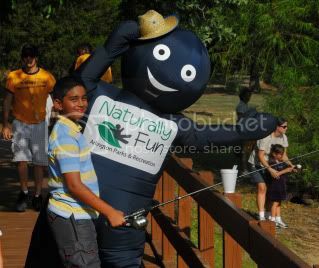 For more information call 817-459-5474 or visit naturallyfun.org. 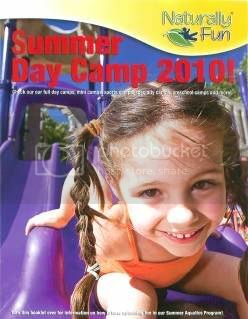 Pick up your copy of the 2010 Summer Day Camp and Aquatics brochure and begin planning your Naturally Fun summer. 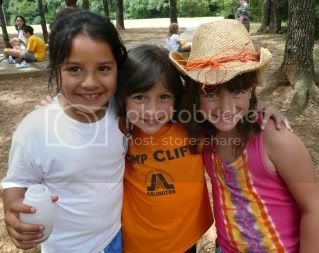 Find out all about our summer day camps, X-treme Teen camps and mini camps. Flip it over and check out swim lessons and public swim time at our six outdoor aquatic facilities. Let's Go Fly a Kite..
Come join us for some high flying fun at our annual Kite Festival on Saturday, March 13. We will have kite contests, kite building workshops, stunt demonstrations, face painting, a bounce house, concessions and more. The event will be full of cool, fun and unique kites. There will be a workshop where you can learn how to build and create your own kite... and you can make them as wild and crazy as you want! A stunt demonstration will show you how your kite can be used to win the contests and to show off your flying talent. One of the festival highlights will be the contests that start at 1pm. Some of the most popular contest categories include Best Kite in Show, Most Unusual Kite and Highest Flying Kite. Ribbons will be awarded for 1st, 2nd and 3rd places in each category. 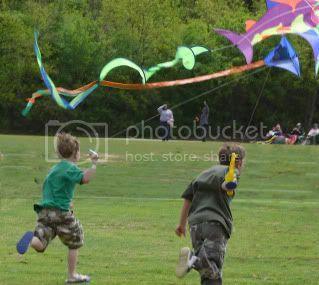 The annual Kite Festival takes place in north Arlington at River Legacy Parks, 701 NW Green Oaks Blvd., 76012. Event activities start at 10am and will continue until 2pm. The fee is $5 per participant. 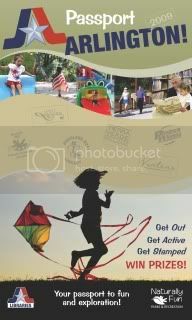 For more information call 817-459-6434 or visit naturallyfun.org. A sculpture to honor an unsung war hero with Arlington ties, Colonel Neel E. Kearby , is being designed by the City of Arlington and Graham Associates. Kearby grew up in our city, graduated from Arlington High School and spent his first two years of college attending North Texas Agricultural College, now known as The University of Texas at Arlington. He is the only serviceman from Arlington to have been awarded the Medal of Honor, the nation's highest award for valor. The Colonel Neel E. Kearby Memorial will be located on the west lawn of George W. Hawkes Central Library, receded behind the tree front to separate it from the street. The memorial includes a granite monument with a design inspired by the U.S. Army Air Forces Colonel ranking insignia and a bronze statue of Kearby. Steps will lead up to the elevated memorial, lined with seating and retainer walls that feature Kearby's accomplishments. 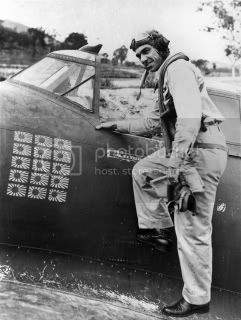 Colonel Kearby commanded the 348th Fighter Group and was the only U.S. fighter pilot to be awarded the Medal of Honor for actions while flying the P-47, also known as the "Jug" for its bulky and cumbersome design. The tactics Kearby and his pilots developed found success in the air against their enemies. 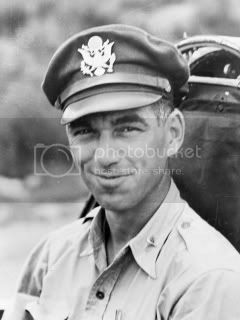 Kearby earned "flying ace" status as he championed 22 aerial victories. He was also awarded two Silver Stars, four Distinguished Flying Crosses, five Air Medals and the Purple Heart. The Parks and Recreation Department hopes to have the memorial finished by Veterans Day, but additional funds are needed to complete the project. Go to naturallyfun.org to find out about how you can donate. Arlington Tennis Center is proud to be hosting a U.S. Open Qualifying Tournament. The playoffs begin with 16 sectional qualifying tournaments held throughout the country April through June. The men's and women's champions from each sectional qualifying tournament will advance to the US Open National Playoffs this summer. "The US Open National Playoffs makes the US Open 'open,' where one woman and man will earn a wild card into the US Open Qualifying Tournament and a chance to advance to the main draw," said Lucy Garvin, Chairman of the board and president, USTA. The Arlington Tennis Center will host the US Open National Playoff in Texas June 21 through the 26. While professionals are eligible to play, the draws are expected to be filled with top junior players, collegians, teaching professionals and even recreational players. There is a $125 entry fee for the sectional qualifying tournaments, and is open to all players ages 14 and up. 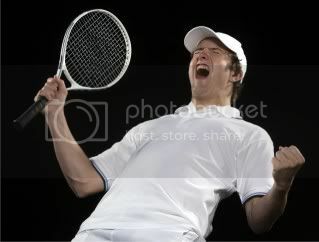 All players must have a current USTA membership valid through August 30, 2010. Entries will be accepted starting March 1 for the tournament in Arlington. For more entry information and eligibility requirements visit the online US Open National Playoffs / USTA Texas Qualifying Tournament website. The golf divisions of Arlington and Fort Worth have partnered to create the Trinity River Golf Tour, beginning with its first tournament in April. 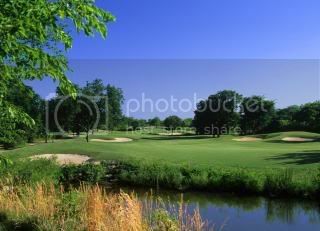 Envisioned to become a premiere competitive golf experience, the idea of the Trinity River Golf Tour was created by Phyllis Jordan, Head Golf Professional at Lake Arlington Golf Course. Both municipalities hope to attract the area's top amateur players as well as show off the quality of their public links. The tour will play on seven of the cities' best golf courses, including the Tierra Verde, Lake Arlington and Ditto in Arlington and the Pecan Valley, Rockwood, Meadowbrook and Z. Boaz in Fort Worth. "There has been something missing as far as a series of top-notch tournaments for amateur golfers in the Arlington and Fort Worth areas," said Jordan. "With these events, we can fill that gap, showcase our courses, and spur more interest in our facilities while providing excellent golf in outstanding conditions." Monthly tournaments will be hosted for players in and around the Dallas-Fort Worth Metroplex, with five competitive divisions: men's open, women's, seniors', juniors' and team divisions. Tournaments will be flighted and limited to 80-100 entrants, depending upon the venue used. There is a one-time tour membership fee of $30 for all players and an entry fee of $75 per event. "Fort Worth Golf is very excited about partnering with Arlington Golf to provide first-class tournaments for all who enjoy competitive golf," said Nancy Bunton of the City of Fort Worth Golf Division. "By having five divisions and flighting the individual events, there will be plenty of competitive opportunities for golfers to play great amateur events in their own backyard." For more information about the Trinity River Golf Tour, contact Arlington Golf at 817-572-1300. Like to Shop... Like to Sell? Calling all garage sale enthusiasts! Ready to sell your treasures or shop for that hidden gem? Then make plans now to attend our City Wide Garage Sale on Saturday, April 17 from 7am to 3pm at Meadowbrook Recreation Center, 1400 Dugan, 76010. The one-day sale will offer a wide variety of items such as handmade crafts, tools, clothes, toys, sports equipment and more. Products for sale will range from gently used to new retail. "The garage sale is one of our most popular events," said Cynthia Ellis, Customer Service Representative. "Everyone always has a great time, whether they are selling or buying." she said. Booth space, both indoor and outdoor, is available for rent starting at $10. Inside booths include one 6' table and two chairs. Additional tables can be rented for inside booths if needed. Outside booths come with space only. After the sale is over, Mission Arlington will pick up any unwanted items and issue donation receipts. 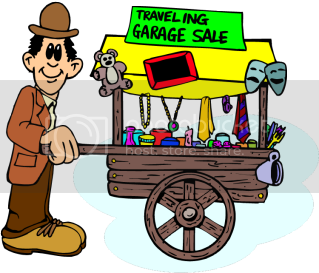 For more information on the City Wide Garage Sale or to reserve your booth space, call Meadowbrook Recreation Center at 817-459-5463. 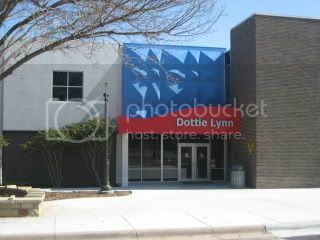 You'll notice something different when you walk up to Dottie Lynn Recreation Center. There's a bright new entry. But that's not all that's new, inside there is a new teen room off of the lobby. The room has a glass wall for increased visibility. Another part of the DLRC renovation is the new kitchen. It has been expanded to create more storage. A new refrigerator, oven, two new deep sinks with moveable hoses and tons of cabinet space were added. You'll get to use this great kitchen when you sign up for the new cooking classes! Cliff Nelson Recreation Center also received several improvements. An area on the first floor was enclosed to make additional room and make the environment more adaptable for guests. The wooden deck was reconstructed and expanded with an awning on the southwest side of the building giving the facility a more homey feeling. The playground at Cliff Nelson Center has also been updated to look and feel friendlier. At the Arlington Parks and Recreation Department, your right to privacy is our priority. Be assured that we will never sell, rent, or provide your e-mail address or any other information to outside organizations. To make sure you always receive our monthly E-newsletter, add the E-newsletter "from" address to your email address book. By doing this, you will get the vital parks and recreation information you want!